The application of digital methods has brought enormous benefits to many fields of study, not only by offering more efficient ways of conducting research and teaching along traditional lines, but also by opening up entirely new directions and research questions which would have been impractical or even impossible to pursue prior to the digital age. This digital revolution offers new and exciting opportunities for many humanities subjects – including Chinese studies. Through use of computer software, digital techniques make possible large-scale studies of volumes of material which would once have been entirely impractical to study in depth due to the time and manual effort required to assemble and process the source materials. Even more excitingly, they offer the opportunity to apply sophisticated statistical techniques to give new insight and understanding into important humanities questions. 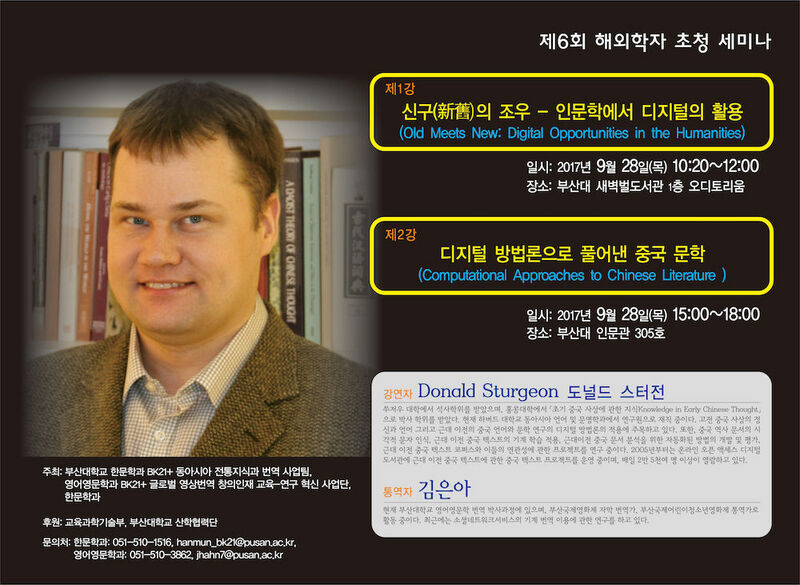 In this talk I introduce examples of how and why computational methods are making possible new types of studies in the humanities in general and the study of Chinese literature and history in particular. Digital methods and the emerging field of digital humanities are revolutionizing the study of literature and history. In the first part of this talk, I present the results of a computational study of parallel passages in the pre-Qin and Han corpus and use it to demonstrate how digital methods can provide new insights in the field of pre-modern Chinese literature. This study begins by implementing an automated procedure for identifying pairs of parallel passages, which is demonstrated to be more effective than prior work by human experts. The procedure is used to identify hundreds of thousands of parallels within the classical Chinese corpus, and the resulting data aggregated in order to study broader trends. The results of this quantitative study not only enable far more precise evaluation of claims made by traditional scholarship, but also the investigation of patterns of text reuse at a corpus level. The second part of the talk introduces the Chinese Text Project digital library and associated tools for textual analysis of Chinese literature. Taken together, these provide a uniquely flexible platform for digital textual analysis of pre-modern Chinese writing, which allows for rapid experimentation with a range of digital techniques without requiring specialized technical or programming skills. Methods introduced include automated identification of text reuse, pattern matching using regular expressions, and network visualization.